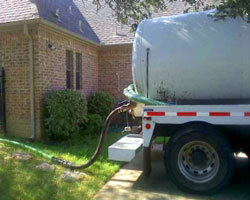 Q: How often should I get my septic system cleaned? A: The state recommends that your septic system be cleaned every 2 to 5 years. Proper maintenance is important to keep all the components running smoothly. Q: How do I know if I have an aerobic or a conventional system? A: An aerobic septic system usually has sprinklers and always has an aerator that pumps air into the system. Of course if you are unsure please contact B&B Pumping and we will be happy to help. Q: Should there be anything left in the tank after the system is cleaned? A: When your septic system is properly cleaned, your tank(s) will be pumped, washed out with a high-pressure nozzle connected to a water hose, and emptied of that water. Your tank will now be ready to begin the natural biological process that makes septic systems so efficient. Q: Will my system need to be uncovered? A: If the septic tank lids are not exposed, digging will be necessary. When we dig, it is simply our employee using a shovel. Most of the time the digging usually is less than 2 feet; of course, there are very rare occasions when larger equipment is necessary. Q: Do I need to be present when you clean my system? A: We recommend you be there because we like to be able to tell you about your septic system. However, you do not have to be there if we can take your credit card information via telephone. Q: How soon can I be scheduled? A: In most cases, we can schedule you the same or next day. 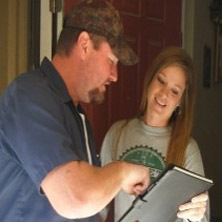 Have some more questions about your septic system? Please give us a call today and we will be happy to help!